Film Plot: A flamboyant thief and his gang struggle to free a princess from an evil count's clutches and to learn the hidden secret to a fabulous treasure that she holds part of a key to. Grade: C7-C8	Fine to Very Fine. Rolled, single-sided. Unused, very minimal handling/edge wear, would grade higher except for a surface compression mark on the woman's arm who is dressed in green camo. 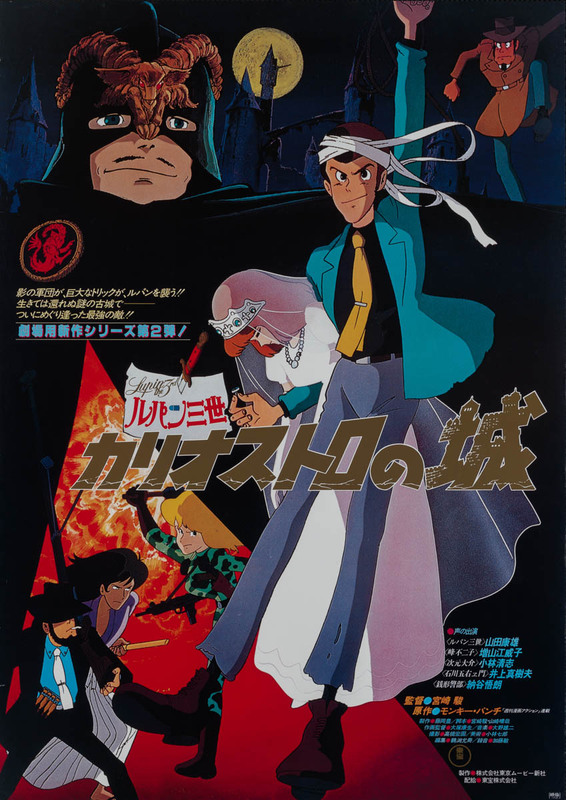 Lupin III: The Castle of Cagliostro is the feature length directorial debut of Hayao Miyazaki — one of the most famed animators of all time. Long before his breakout hit My Neighbor Totoro, Miyazaki was working as an animator for Toei Animation and TMS Entertainment. Based on his previous work on Lupin III TV episodes, Toei greenlit a movie project with Miyazaki at the helm, handling directorial, writing, design, story-board, and animation duties. Lupin the III is based on a long-running manga series dating back to 1967. It follows the escapades of master thief Arsène Lupin III, the grandson of Arsène Lupin — the fictional gentleman thief and master of disguise created by French writer Maurice Leblanc in 1905. 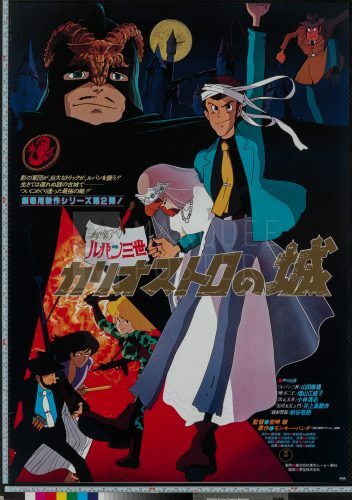 Lupin III is a treasured commodity in Japan with over 21 volumes in the original manga series, 5 different television series, 10+ films and countless other special TV-movies, videogames, etc… It was therefore quite a start for Miyazaki! This B1 is from the 2014 re-release of the film. 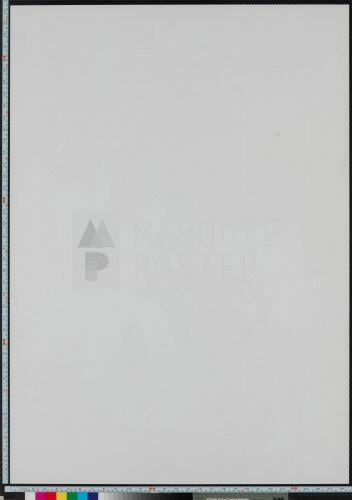 The artwork is almost identical to the practically-mythical 1st release B1, with only the image and fine print text being slightly blurrier. This has caused a lot of confusion lately when the B1s started turning up for sale, but they are indeed from the 2014 release. 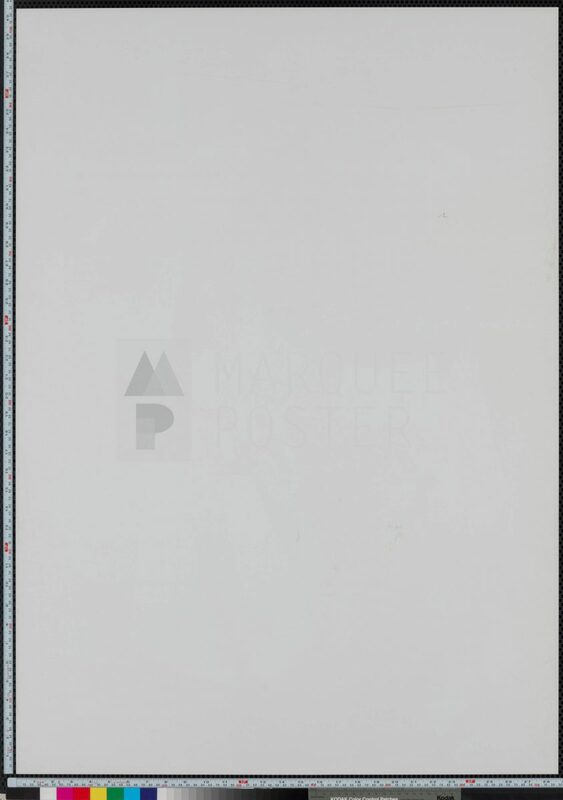 Please see our authentication entry on distinguising the true 1st release poster from the R14 poster.